Despite his warnings—or maybe because of them—when Garrett goes missing, Julie has no choice but to use her skills to find where the cartel buries their victims… before he becomes part of the body count. This is the third book in the series, but I don't believe it's necessary to read them in order. I somehow missed book two, but was able to jump right in to book three. Julie is back at it again. But with her boyfriend acting strange and her just getting back at finding the dead, Julie isn't quite sure which way is up. Rather than despair too much, she knows that she has to try to help Garrett. Knowing that the cartel is part of this doesn't deter Julie at all. Plus, with her new neighbors acting strange and the clues piling up, Julie sets out to find him with the help of his dead wife. This story sweeps you up and doesn't let you down until the end. It's a guessing game of who to trust and what's really at stake. It was very entertaining and I loved each twist and turn. Roberts kept you guessing and while I was able to figure most of the mystery out, it was still incredibly fun to read. For reviews & more info, check out our A Grave Calling post. 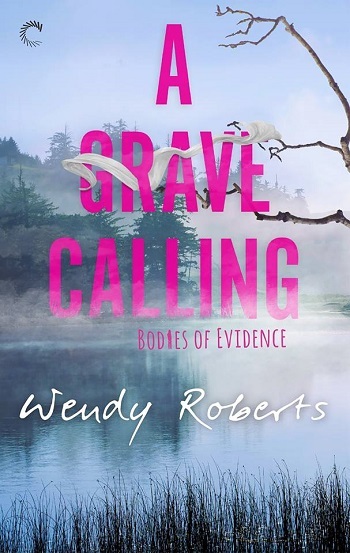 WENDY ROBERTS is an armchair sleuth and a fan of all things mysterious. She lives in Surrey, British Columbia, with four teens, a tenacious yorky and a sluggish guinea pig. Wendy is the proud author of Grounds to Kill as well as many other paranormal mysteries. 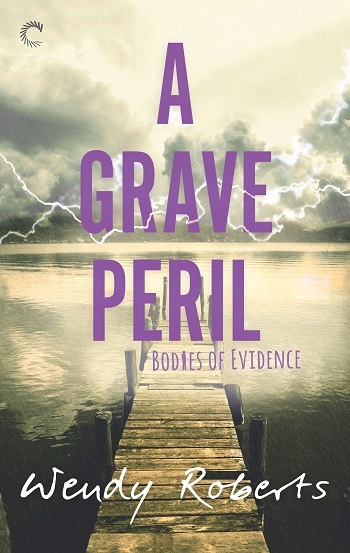 Reviewers on the Wicked Reads Review Team were provided a free copy of A Grave Peril (Bodies of Evidence #3) by Wendy Roberts to read and review. Thank you for the awesome review! I'm thrilled you enjoyed my story.